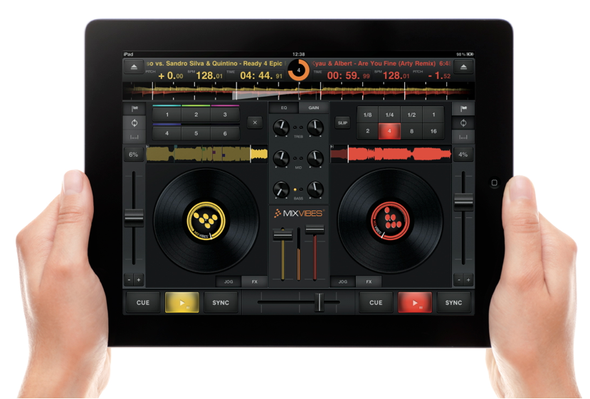 MixVibes recently announced their latest DJing application, CrossDJ for iPad, bringing you a comprehensive iPad DJing experience with a user friendly yet professional and feature rich layout. This application will allow all DJs and music fans to enjoy performing quality sounding mixes on an iPad. CrossDJ was developed by the same professional software team who developed 'Cross', awarded 'Best DJing Software' in 2010 and 2011 at the MIXMOVE awards in Paris. CrossDJ is a fully-fledged DJing controller and features a full 2-channel mixer with 3-band EQs and Kills, preset Loops, 6 Locators, High-precision audio FX with X/Y control pad and much more. In addition, it takes advantage of the iPad/iPhone media management paradigm with fluid, rapid and intuitive browsing and loading. You can easily access all iTunes playlists and browse media using a Dynamic Triple Criteria Filter. The audio stream can be split in order to be able to monitor tracks with headphones, which is essential for a professional mix.